The University of Alabama’s College of Communication and Information Sciences, along with the journalism department, has named best-selling author Warren St. John winner of the 2015 Clarence Cason Award in Nonfiction Writing. 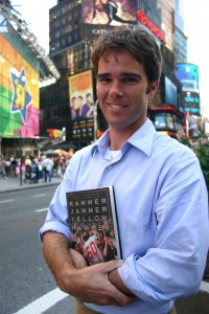 St. John, a native of Birmingham, and a graduate of Columbia University, wrote the national bestsellers Rammer Jammer Yellow Hammer: A Journey into the Heart of Fan Mania and Outcasts United: An American Town, a Refugee Team and One Woman’s Quest to Make a Difference. He has written for The New York Times, The New Yorker, the New York Observer, Slate and Wired. He now lives in New York City with his wife and daughter. 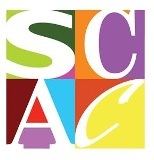 “We were impressed by St. John’s professionalism and productivity, both in his newspaper life at The New York Times and in his books,” said Rick Bragg, Cason Award selection committee member and previous recipient of the award. Rammer Jammer Yellow Hammer is an Alabama classic, and one that helps explain us to the wider world. The award is named for Clarence Cason, who founded UA’s department of journalism in 1928. Each year, the University bestows the honor on a recipient with a strong connection to Alabama and whose writings have made a critical contribution to the journalism and literature of the South. “In winning the Clarence Cason Award, Warren St. John joins such distinguished writers as Rick Bragg, Diane McWhorter, Howell Raines and E.O. Wilson, all past winners of the Pulitzer Prize,” said Dr. Mark Nelson, dean of the College of Communication and Information Sciences.